There’s been a trembling in my soul ever since I heard the news about the earthquake that has devastated Nepal. Since I just came back to the US last week, the images coming from the disaster zone have been bringing up too many memories. I have intentionally tried to avoid them as much as possible because I don’t need to see them to know what they look like. I have other similar images burned in my memory already. I don’t need to hear the stories to know what they say. I have 5-year-old stories that sound the same that replay through my head every day. I don’t need all of the details to understand the horrors and the trauma that the people of Nepal are living through right now. 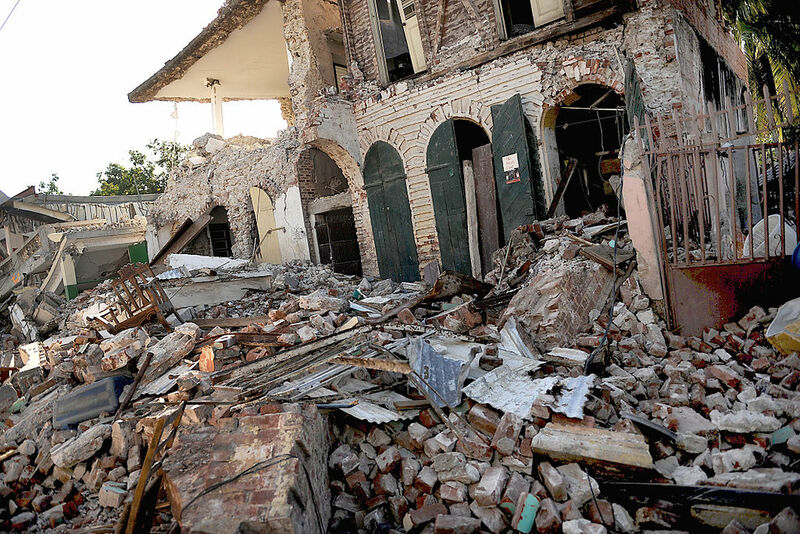 All I need to hear is the word “earthquake” and a mention of the ever climbing death toll and my heart and my spirit are already there with them because a large part of my heart and my spirit are always lingering back in Haiti, January 12, 2010. And yet, I know that Nepal 2015 is not Haiti 2010. And for this reason, I have stayed silent. Because I know that the last thing that the people in Nepal need right now is one more person comparing them to Haiti. I know that the last thing that the people in Nepal need right now is one more person trying to tell other people where they should donate to or how they should help without any personal knowledge of the situation on the ground. I know that they don’t need more people a million miles away using their current plight to pretend that they care about humanity by donating some money through Facebook or to the Red Cross. I know that they don’t need one more person feeling bad for them. They’ve had their hearts ripped out and their lives turned upside down and all the truths that they thought they believed to be true about the universe suddenly challenged by something they cannot understand. So as long as their most basic needs are met, right now, I’m assuming that all that they need is some space to grieve. Some time to process. Some arms to hold them up when they feel weak and can’t stand in between the sobs that come without warning. They need something solid to lean on in midst of the fear. This is what the trembling in my own soul would tell me because that’s what I needed in Haiti in 2010 but the only place that I could find it was through the Haitians who had been through the earthquake with me. Not from any other outside source. No organizations or volunteers or aid workers or government agencies. Other survivors. But Nepal 2015 is not Haiti 2010. So I hesitate to offer any words at all to heap onto the situation. Words, after all, are what made the burden so heavy five years ago. This puts a writer into a difficult place who is used to expressing his feelings with words. And right now I feel so many things for Nepal that I had to write this down and get it out there. 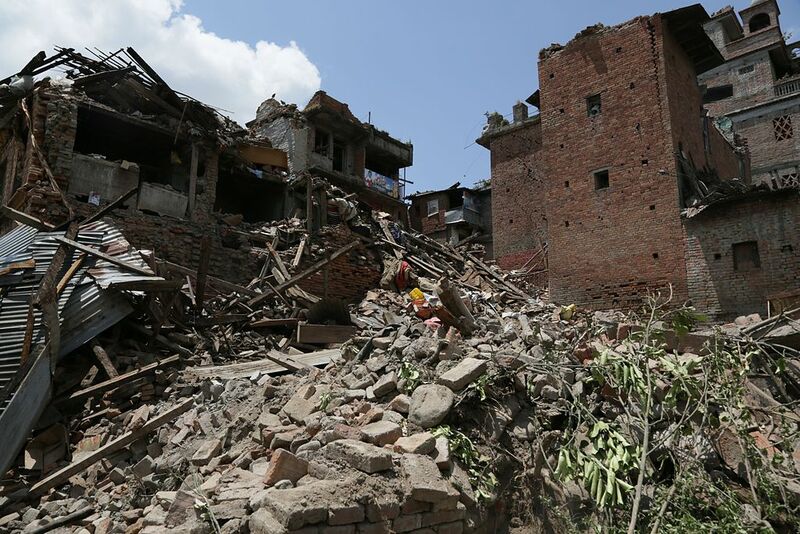 I hope that it builds up and does not only make the load heavier for anyone in Nepal who is already carrying around what may seem like tons of emotional rubble with them. Because I do not know what they are going through, I can only guess based on my own experience. I’ve read too many articles already of others trying to project their own emotions onto the victims and trying to predict what the near future holds through the relief effort and trying to prescribe solutions that I assume none of the victims are actually interested in right now. Yet at the same time, with something so personal, I cannot remain silent forever. I know you want to help. But the truth is that unless you have a direct connection to Nepal or at least a secondary connection to someone with a direct connection, there’s not much you can do. The most crucial parts of the relief have already been done by the people on the ground and the fact is that the victims will probably be able to find food and water and a tent regardless of whether you donate now or not. After that the rebuilding needs to be done by the ones who did the original building in the first place. Donating to organizations to rebuild homes or schools or temples does more harm than good unless those organizations are the ones who built the homes and schools and temples that got destroyed in the first place. It just takes agency out of the hands of the ones who have to deal with the consequences in the future. The Nepalese citizens who right now and in the coming weeks, are going to be hungry for nothing more than a sense of control once again. This, I can say from experience, was the most difficult thing to lose, a sense of control. And the more that donors put the power into the hands of NGOs, the more the common citizens lose control of their own situations. So, if you do have the direct connection to help those victims regain control of their own lives, do so by donating directly to them without any strings attached. And if you definitely want to donate to an organization, search out one that is locally led and was there before the earthquake and has sustainable plans to be there long after. Then once you’ve found it, make a long term commitment to supporting them on a regular basis. Next year, or in a few years are when they’re going to need the support the most. I can’t feed you any BS about it how it’s going to get better because I know right now that would be of no comfort to you. The truth is that whatever sorrow, bitterness, anger, confusion, despair, fear, or whatever emotions you’re feeling right now, it’s okay. And it’s not going to get better anytime soon. It will eventually, but you’re going to be stuck in these feelings for a long time while everyone else around you tries to fix things. Take your time. And in those moments, cling to those around you who know what you’re going through. Lean on them for support and be there for them when they need to lean on you. Share your story as much as possible. Tell it to anyone who will listen because the more you keep it inside the stronger the aftershocks will be within you down the road. Cling to your faith and remember that you are more powerful that you may ever realize. No matter how many walls around you crumble, there is a sacred beauty and strength within you that cannot be destroyed. Allow it to push you forward. I know they gave you Cholera, forgive them. I know you lost 100 times more loved ones than they did, but the loss of even one to such tragic circumstances affects us all. Take a moment to grieve with them. I know that you don’t have any money that you can send or even have the ability to connect in anyway to the Victims in Nepal. The best thing that you can do for them now is to provide them with proof that it does get better. Show them that there is hope in the life that lies beyond the rubble. For the sake of the Nepalese people who are suffering right now and for the sake of the memory of our own that we lost 5 years ago, don’t take for granted the opportunity that you’ve been given to continue to make life in your communities as beautiful and as worthwhile as possible. I know that you were used as an experiment in aid 5 years ago, and that experiment didn’t go well. Don’t let it be in vain. Don’t let the world forget the lessons that they learned. Continue to tell your stories and remember who you are as Haitians. Remember the revolutionary spirit that has gotten you to where you are and allow it to push you forward. I know there are still aftershocks in your soul. If you ever need a shoulder to lean on, you know where to find me. As far as what I’m going to do now with the own trembling in my soul for Nepal, I’m going to spend some time trying to form some direct connections in the coming months. And through those connections, I’m going to do some work with my artist friends in Haiti to try to build some bridges and lend some support emotionally, spiritually, and hopefully even financially to those in Nepal. I have a very strong sense that right now if anyone can help the people of Nepal, it’s the people of Haiti. I’m going to do what I can to be a part of making that possible. I always have a donate button at the end of my posts here on the Green Mango. Usually if you are kind enough to click that button and donate some money, it just goes to keeping me alive. But this time, if anyone donates through that button in the following week, I’ll be using those funds to get this cross cultural project started between Haiti and Nepal. I’ll be sharing more details about the project over on my art website when I have worked them out more but for now, if you trust me enough to contribute, I guarantee you that it will be going towards something unlike any other “help Nepal” project out there right now. Thanks. Lee, ❤ so well said. I do have direct connections as I've been coordinating a volunteer literacy trip for the past 6 to 9 months. If you want me to share the direct links to two villages with Nepalese agencies that are well respected I will do so. Here's to grieving together, sharing glimmers of hope and being real about what's happened. I agree that filling the coffers of giant NGOs is NOT the solution, just gets tangled up in a morass of red tape and bureaucracy. I've advised several friends to not give to Red Cross or other HUGE agencies, but to seek out as you've said, the smaller, local, respected groups or even an individual village. My own gofundme campaign has been revamped for my friend Krishna's village which was decimated. ❤ and hugs to you always, thank you for being.